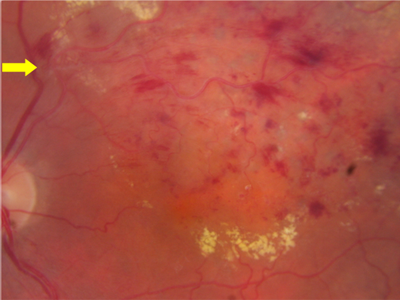 Evaluation and management of branch retinal vein occlusion. What is a Branch Retinal Vein Occlusion? A branch retinal vein occlusion occurs when, because of hardening of the arteries, a branch retinal artery compresses a branch retinal vein causing blockage of the vein and decreased circulation in the distribution of that branch retinal vein. (see image) [note: the branch arteries are really arteriols and the branch veins are really veinules] There are several possible treatments for branch retinal vein occlusion including intravitreal injections, laser, and even surgery. Patients with BRVO lose vision for several reasons: poor circulation, hemorrhage and macular edema (swelling). There is no treatment, at the moment, to increase circulation or to remove hemorrhage. 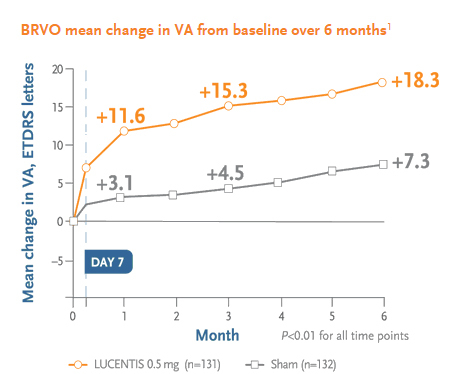 The macular edema, however, does respond well to intravitreal injections with Lucentis, Avastin, or steroids. 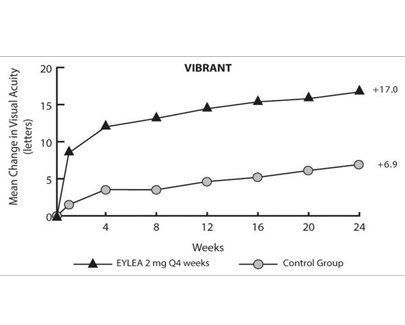 Eylea was approved for treatment of branch retinal vein occlusion in late 2014. It is administered as an intravitreal injection monthly initially and then the treatment interval can be extended. The suspension in the form of used to treat eye infections and related symptoms are generally termed as ophthalmic suspension. Generally it used in a.
Regeneron Pharmaceuticals, Inc. with ticker code (REGN) now have 21 analysts covering the stock with the consensus suggesting a rating of 'Buy'. The. Branch retinal artery occlusion or BRAO is a vision-related disease-causing long-term vision problems. It is caused due to reduced or blocked blood flow. Eye strokes can come one suddenly and result in partial or complete loss of vision. Learn about cause, risk factors and treatment options. Constant fluctuations in the systolic pressure can lead to many major eye complications. Modern treatments can do wonders if they are begun before the damage to the eye is irreversible. Regeneron Pharmaceuticals, Inc . REGN suffered a setback when the FDA issued a complete response letter (CRL) to its supplemental Biologics License. What is the relationship between initial visual acuity and visual prognosis in patients with branch retinal artery occlusion (BRAO)? Regeneron Pharmaceuticals, Inc . REGN is likely to beat expectations when it releases fourth-quarter and full year 2018 results on Feb 6, before the. Shares of Regeneron Pharmaceuticals Inc . REGN have gained 3.2% in the year so far against a decline of 5.9% for the industry . Tarrytown,. This article aims to explain and create awareness regarding an eye stroke. In depth details of the causes, symptoms and treatment plan are also given. Clive Woodington had Central Retinal Vein Occlusion (CRVO), a distressing condition that can lead to blindness in the affected eye. Regeneron Pharmaceuticals, Inc. REGN announced that the FDA has accepted for review the company's supplemental Biologics License Application (sBLA). 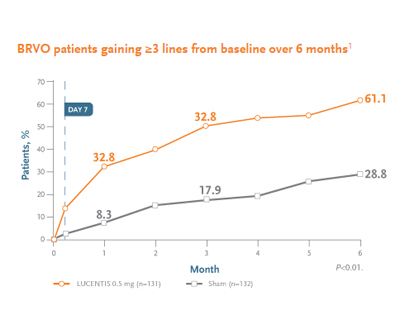 According to the interim results of the RIVAL trial, ranibizumab (Lucentis) showed an increase of 2.2 more letters compared to aflibercept. Studies based on data from the world's largest clinical specialty database corrected commonly-perceived trends in ophthalmology. Optical coherence tomography angiography (OCTA) allows for the evaluation of functional retinal vascular networks without a need for contrast dyes. Bayer receives approval of new treatment regimen for Eylea® in the EU. Dermal filler injections in the forehead led to vision loss, a rare but devastating event, in 3 patients.